Updated Friday March 4, 2016 by Kitchener Sports Association. Rob Way has been and continues to be very involved as an active volunteer and organizer in hockey, in-line hockey and fastball. Rob has held a variety of positions with the Waterloo Minor Hockey Association over three decades including coaching, sponsoring, developing goalie clinics and creating and sponsoring scholarships for midget-age players. Rob was the recipient of the Midget AAA Wolf Award presented to the person who makes the greatest contribution to the Waterloo Minor Hockey Program. He has been assistant coach and head coach of the Wellesley Apple Jacks Jr. “C” Hockey Club. Rob is the owner/coach of the KW Rage team and current President of the Great Lakes Junior "A" Inline Hockey League. He coached boys in the North Waterloo Minor Softball League for many years and at various levels. 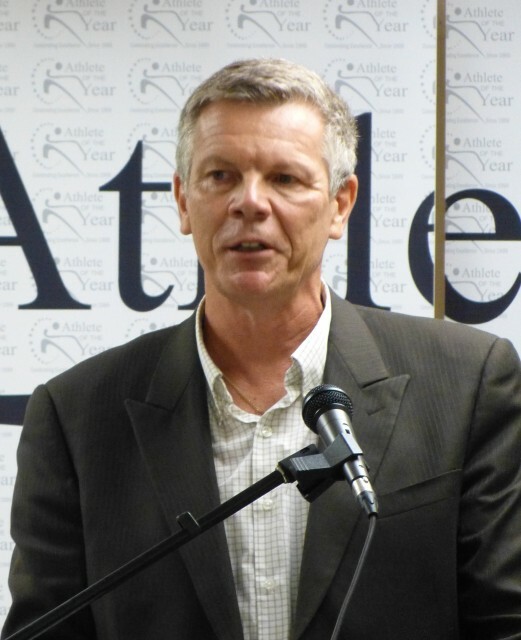 Under his leadership, his teams won many league championships and made two trips to the Eastern Canadian Championships, one resulting in winning silver medals in Newfoundland. Rob has been involved with the Ontario Amateur Softball Association, Softball Canada, International Softball Congress, Hockey for the Homeless and Special Hockey International. He is a recipient of the 2010 Community Sports Hero Award and a deserving recipient of the 2015 KSA Award of Excellence – Individual.